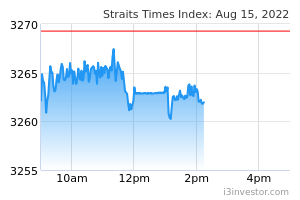 Concerns of weak earnings growth in Singapore are to blame for United Overseas Bank (UOB, SGX:U11)’s 6% YTD underperformance vs. DBS Group (SGX:D05), we believe. This is the wrong place to look. Increasingly, UOB’s growth is generated overseas – from SE Asia and Greater China – not Singapore. In 2019E, we estimate almost half of the group’s loan mix should be in higher growth overseas markets. Separately, UOB’s NIMs have lagged DBS in the past 3-quarters. This will change in 1Q19, following upward mortgage rate resets since late-2018. These drivers will provide the catalysts necessary for the gap to close vis-a-vis DBS. From UOB's share price performance perspective, UOB’s 50-dma is already very close to crossing its 200-dma. In the past 5-years, such crosses have resulted in absolute returns of 20-65%. By 2020E, for the first time, UOB’s loan book will comprise of more foreign loans than local, we estimate. This will largely be from SE Asia and Greater China where growth and NIMs are much higher than developed Singapore. Indeed, in the past 10-years PBT from overseas has expanded at 9% CAGR vs. 4% for Singapore. At the same time, NPLs in overseas operations have contracted. This shows that the group is conservatively balancing risk and growth, which reaffirms UOB’s historically prudent management style. Structurally, supplementing slower growth at home with stronger overseas hinterlands, will contribute to UOB’s ROEs expanding 22bps by 2021E. Despite a rising rate environment, UOB’s NIMs have lagged DBS, particularly in the past 3-quarters. This was partly from tighter liquidity (89% 2018 loan-deposit ratio) and a lag in loan re-pricing. UOB has been actively re-pricing mortgages higher since late-2018 and improving liquidity (including a USD600m medium term note issue on 09 April). As higher asset yields trickle through, we expect to see an inflection point for NIMs in 1Q19. Overall 2019E NIMs should rise 5bps y-o-y, we estimate. Rising structural overseas earnings and better NIMs will catalyse a further re-rating of the stock going in to 1Q19, we believe. Earnings will be announced on 03 May. 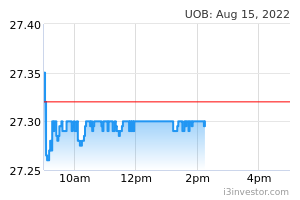 UOB's share price has bounced above its downside support level established since September 2018. Current price momentum has brought UOB’s 50-dma within a whisker of crossing above the 200-dma. Such crosses in the past 5-years have returned 20-65%.